Marks & Spencer has jumped on the netbook band wagon and, in partnership with electronics manufacturer Elonex, has released its own branded machine, called the MSNB-2009. The MSNB-2009 boasts the standard netbook specifications, including a 10-inch LED backlit screen, Intel Atom processor, 1024MB of memory and a 160GB hard drive. Elonex claims that the battery will keep you productive on the road for as long as six hours, and that the machine weighs only 1.3kg. Other features include 802.11g Wi-Fi for connecting to wireless networks, say in a café for example, and a 1.3 megapixel webcam for video chatting to your friends over the internet. 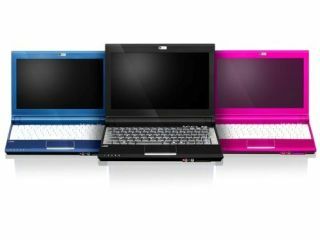 Available now in three colours – Midnight Savvy, Shocking Pink and Jet Black – the MSNB-2009 costs £279 (inc. VAT).